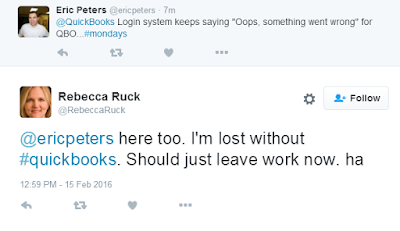 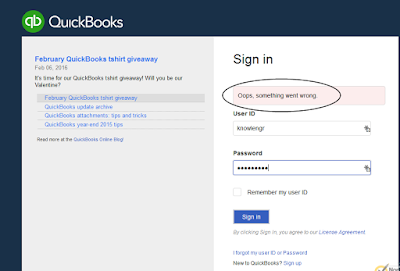 Intuit's Quickbooks Online experienced a glitch that prevented users from logging in. 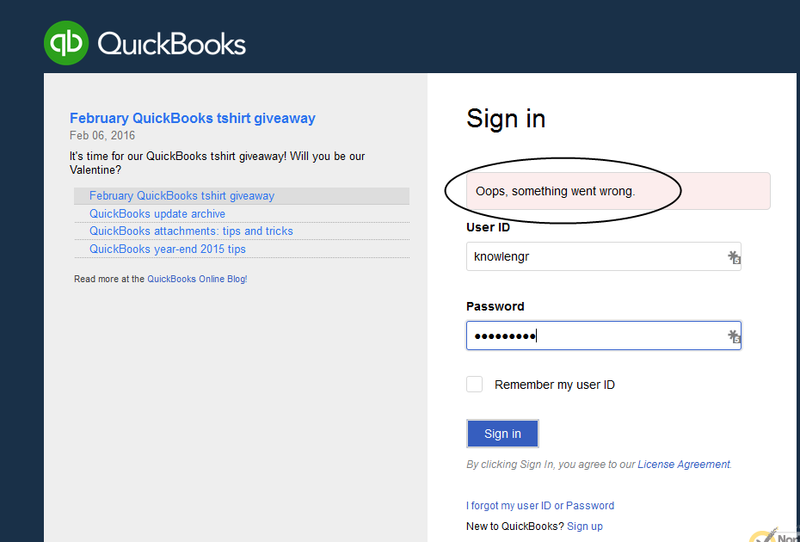 The cryptic error message: "Oops, something went wrong." 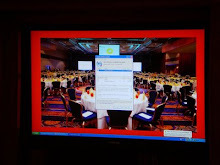 Oh yes, do visit errorprocessing.com or visit the Pinterest page for more fun -- and annoyingly unhelpful -- screenshots.